The WCNDT 2016 in Munich was with 2,500 participants and further 1,400 additional exhibition visitors an exceptionally well attended World Conference on Non-Destructive Testing. 273 exhibitors from all over the NDT industries exhibited on 3,400 square metres their products and methods. A committee of internationally renowned researchers had evaluated approximately 1,000 proposed papers; finally, 670 presentations in nine parallel sessions and more than 100 posters gave an overview about the latest research findings and applications in non-destructive testing. Attendees and exhibitors from companies and research institutions expressed without exception their satisfaction. We thank all exhibitors, speakers and sponsors for their overwhelming support. Only your strong commitment made the WCNDT such a success. The next World Conference on Non Destructive Testing will held in Seoul 2020. A big thank you for your overwhelming response! Our scientific committee reviewed almost 1000 abstracts and is now pleased to announce an exciting programme for the conference. All papers are available here at this site through programme and search. They are also uploaded to our media sponsor NDT.net, the web's largest open access database of Non-Destructive Testing. Conference and exhibition share the same space within the venue and form a unified whole. Service providers, equipment developers and research institutes present their latest developments, applications and research results. Looking for a particular exhibitor? Did you know that you can click on the booth number, e.g. B 55 within the exhibition catalog? 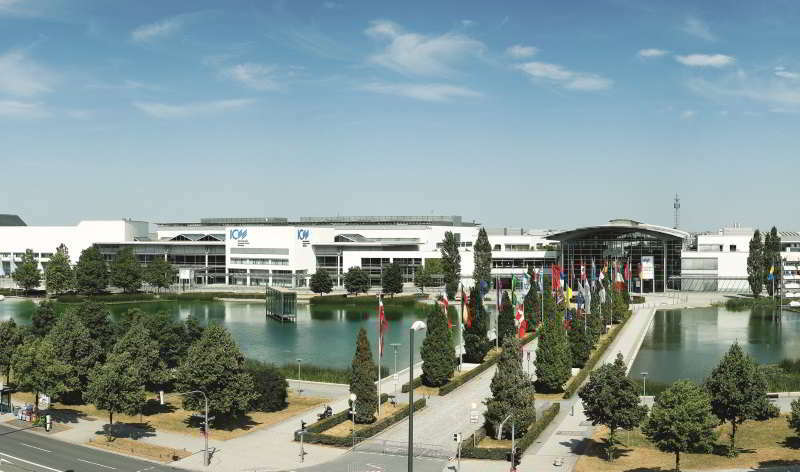 ICM, one of the most modern congress centres in the world, is an integral part of the New Munich Trade Fair Centre. An inviting and friendly atmosphere, as well as the finest equipment, offer ideal conditions for events of any kind and size. With a capacity of 7,000 seats, approximately 7,000 m² of exhibition space and rooms for flexible use, the ICM is one of the most efficient centres of its kind. Free Wi-Fi is available during the conference. Two terminals belong to Munich International Airport (MUC). T2 is a unique joint project by Munich Airport and Deutsche Lufthansa AG and is used exclusively by Lufthansa, Star Alliance members and LH code-share partners. All other airlines use T1. The city train station is located directly below the central area of the Munich airport. From there, a train departs for the city centre every 10 minutes. There are various routes to choose from to travel between the airport and the exhibition grounds. The busses depart every 30 minutes and travel nonstop to the ICM. The shuttle bus stops are located in front of the areas A and Z (the central area) in Terminal 1, and in front of Terminal 2. A one-way trip takes approx. 45 minutes. The ride costs are € 8.00 one-way or € 13.50 round trip. You can buy the tickets in advance or at the bus driver (in cash only, the currency is Euro). Road signs in the outskirt of town and throughout the entire city indicate the way to Messe München, the ICM – Internationales Congress Center München. 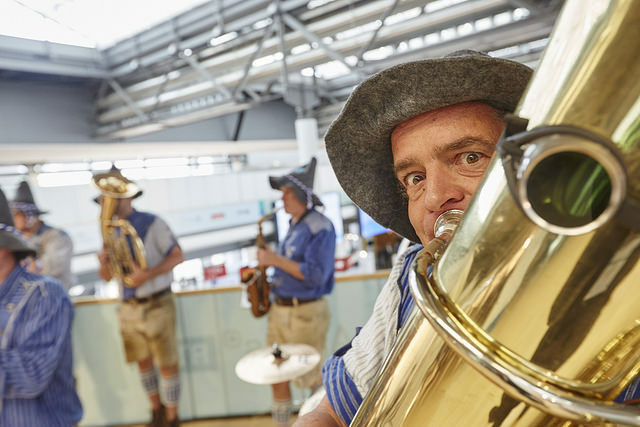 Depending on which navigation system you have, you’ll find the Messe München along with the ICM in the category “event centres” or “exhibition grounds”, or under the keyword “trade fair”. During each event, the New Munich Trade Fair’s traffic control system guides you to the nearest parking areas (fee-based). The U2 subway (U-Bahn) line direction Messestadt Ost runs from 4:00 a.m. to 1:00 a.m., and takes you directly to the Messe München and the ICM (station: Messestadt West). During peak travel times on weekdays, the U2 runs every 5 minutes. Taxis are available at central hubs just like the airport or main station or can be ordered by phone. If you are not an EU national, please find some relevant information.